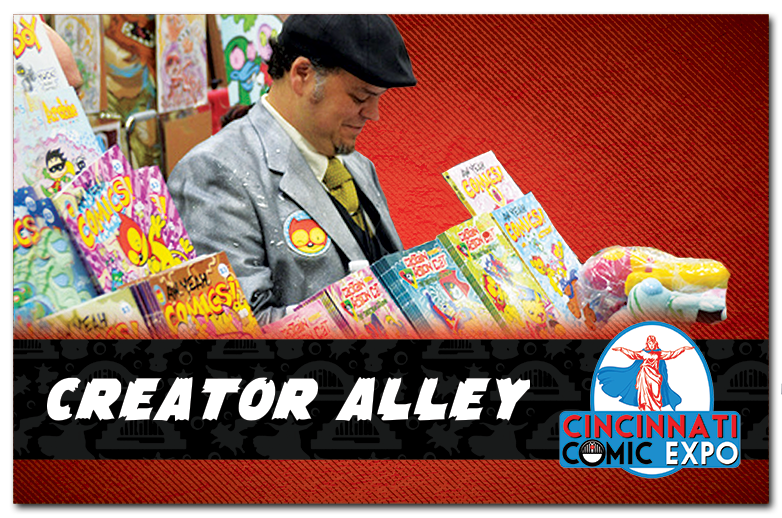 During your time at Cincinnati Comic Expo, make sure to visit the heart of the expo, Creator Alley. This carefully curated section of the expo will feature the unique and authentic talents of original creators. Each artist present will showcase handmade, one of a kind creations celebrating the themes and genres you’ve come to expect at Cincinnati Comic Expo. This is a unique and authentic opportunity to meet and buy directly from the artists!